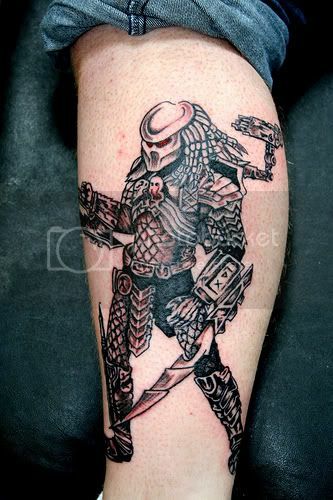 He inked this Predator tattoo during a stopover in Ireland. Call me a xeno-racist, but they all look alike to me. Just don’t call me a “xenist.” That sounds all Scientologisty.